Back on Tuesday 2/27 Dolph from CrossFit Mercer hosted a talk by Geoff Else on supplements. I finally got around to going through my notes from the talk to throw up on the blog. I also wanted to do a little reading about what he talked about, and try to find some references, so this is being posted a couple weeks after the fact. Geoff owns three GNC stores, one of them is in the Hamilton Marketplace on US Route 130. Dolph introduced Geoff and pointed out that a great thing about him is that he is a Crossfitter himself. So he understands what we are trying to achieve. He prefaced his talk about supplements by stating that doing the Paleo diet as part of the CrossFit Mercer 90-day Body Composition Challenge kind of limits you as far as supplementation. 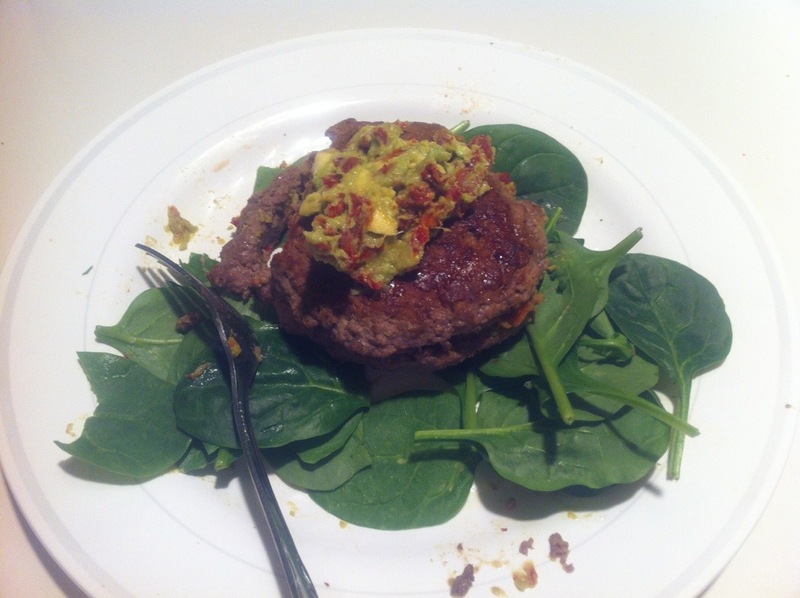 With Paleo you’re introducing lots of different foods, lots of leafy greens. Truthfully you might not really need to supplement. There might be some things that could work with it, or as you begin to reintroduce some things into your diet (eg: Paleo + Dairy), or certainly when you’re done with the challenge. Regarding the Paleo diet, it’s a great way to lose weight because you are cutting out all those refined carbohydrates, which in itself causes a lot of water retention. But once you have Paleo “figured out”, you may find energy levels are a little lower, and that comes down to the fact that you are cutting calories. Don’t be afraid of fats in your diet; you’ve got to introduce some. Fats will become very valuable to you. Being on a moderate/high fat diet will force your body to run on fat, and that will solve a host of problems. It can put you back on track if you are “metabolically deranged”. If things are really tough for you, you can try MCT oil, which is essentially the fatty acid found in coconut. (Note: here’s an article I found on it from bodybuilding.com). A tablespoon is generally 14 grams or 130 calories. Whole Foods and GNC sell it. You can also go straight for the coconut oil itself, and use it while cooking. A question Geoff gets a lot is on pre-and-post-workout nutrition. For years, we’ve all heard about the carb-loading thing. But he said most people run around so saturated on glycogen anyway, they don’t really need any extra carbohydrates. The average individual eating a typical american diet will not really benefit from carb saturation or carb-loading. Yes, carbs are your major course of simple energy, but your body can only incorporate and saturate so much glycogen (simple stores). Geoff went on to say if you’re trying to build, or recover from stress of being students, raising a family, working long hours, etc, consider that you are doing high-intensity workouts, and that increases your cortisol levels. That stress hormone response increases dramatically around your workouts, especially after longer workouts. It’s being recognized that consuming carbohydrates post-workout can actually blunt that response, and it is also introduced into your system with less insulin. You want to minimize insulin response, since you only have one pancreas your whole life 🙂 So, cluster your carbs post-workout with a ratio of 4:1 carbs to protein, or 2:1 if the workout was a little less intense. Again, this is when you go beyond Paleo, perhaps for the sake of convenience. Whey protein is the number-one source of supplemented protein in the world. It is milk-derived, but most of the casein has been removed. It is fast-absorbing, and gets rid of some of the immuno-aggravating components. There’s no extra benefit to having a whey/casein mix, unless you are a super hard gainer and you are going for an overnight feed effect, or something like that. You can probably get enough nutrient density during the day to achieve some serious muscle growth without needing to wake up in the middle of the night and feed. He stresses caution if you can’t afford the grass-fed meat, or need the convenience of nuts, or almond butter from trader joes because you are so very hungry every few days. As soon as you introduce stuff like that, you are increasing your omega 6 levels, a downside. And from a paleolithic perspective, you would never be able to crack all the shells of the nuts in that jar of almond butter. But if you’re forced to do it, so be it. If it happens more regularly, your omega 6-omega 3 imbalance increases. The ratio in the traditional american diet is something like is 12:1 (omega 6 to omega 3). In paleolithic time, it was 2:1 or even a 1:1 ratio. So if your omega 6 number is already very high, one way to improve the ratio is to take a high-density fish oil. It won’t bring down the omega 6 levels, but at least you can manipulate the ratio. It’s not the true answer to everything, but hopefully, at least from the research available right now, he’s convinced that’s the way to balance things out. When those levels are not balanced, lots of inflammatory things can start going on: certain diseases, arthritis, and joints can flare up, etc. Look for a cod liver oil which will have some additional vitamin A and D, or go with a straight fish oil. (Personally, I already take ultra-refined fish oil each day. I’ve been using Zone Labs Fish Oil since I started the Zone circa 2003. It’s expensive, but I believe it’s worth it so I’m on board with Geoff here). He’s a bigger fan of vitamin D than vitamin A. GNC has one he likes which is a triple-strength fish oil. Be cautious where you purchase your fish oil; most of them are 300mg capsules, but they say “fish oil 1000” on the front. It’s a little deceptive. Of that 1,000, only 300, or 30% are omega 3s. GNC’s is actually 90% pure. Look for “Fish Oil 1500”. The triple strength fish oil capsules are 900mg per cap. 1-2 per day is recommended. If you’ve eaten salmon that day, you can skip your dose of fish oil. It already has lots of Omega 3 in there. One of the reasons we avoid so many foods in paleo is because of their gut-inflammatory effects. Lectins and phytates can aggravate the gut and sweep out nutrients we need. But as you are trying to avoid that, make sure you are introducing some of the beneficial bacteria that you won’t get anymore. On Paleo you’ve eliminated dairy (eg: yogurt) so you might want to look into raw sauerkraut, or kimchee or kombucha. Regarding the adrenals and cortisol, magnesium doesn’t get as much attention as calcium, especially for women (bone health). He is not a big advocate of consuming supplemental calcium. There have been studies that show if you go over a certain amount, it increases your risk of cardiac events. You might not want to always take the 1500+ recommendation. Small tangent here: Where they arrive at the RDAs (and this applies to men as well), is sometimes just completely arbitrary. He explained that the recommended Vitamin D amount used to be 400 IU, an amount they found in a teaspoon of unrefined cod liver oil. That amount was something commonly given back in the 1900s, to keep kids from getting rickets. So it became the magic number – these levels are not necessarily grounded in real science. That gets into the quality versus quantity area. if you consume a lot of leafy greens, or dense protein, this stimulates a lot of acid production, vitamin C is in there as well. So you have the perfect environment for calcium absorption. Magnesium balances it out. Robb Wolf is a big advocate of this: taking a magnesium supplement can actually help calm you down. (Note: I located Robb Wolf’s podcast that discusses magnesium supplements). Calcium causes constricting of muscles while magnesium is very relaxing. So, taking some magnesium can help calm you down from the stress of your day and help improve your sleep. He mentioned Zinc-magnesium aspartate. Any type of “chelated” magnesium would be an “awesome” addition to your evening run-down. Most guys might not be into chamomile tea (a good source for calcium and magnesium) so a couple pills might be a little easier. Avoid “oxide” forms which are poorly absorbed. They will generally end in “ate” such as magnesium citrate, magnesium aspartate. Look for about 400 to 600 mg. He likes to recommend phosphatidylserine, if you’re burning out in higher intensity workouts. This is in the same category as neural transmitters. They do derive it from soy though, but it has a huge affect on blunting cortisol levels. If you can’t change the source of stress and you’re committed to the workout, the supplement can be taken once in a while. But it’s not meant to be taken for sustained periods of time. Post-workout – anytime you work out you use your natural metabolic engines, you create free radicals, a highly reactive molecule. Antioxidants help with that. Vitamin C helps with neutralizing free radicals. Supplementing post workout can help mitigate free radicals in your system. There’s a definite controversy around taking vitamin C and taking antioxidants around post-workout because it might blunt some of the “natural adaptation” you want, where some cortisol is good, and some free radical is good. But in his opinion, he doesn’t see enough evidence that vitamin C is going to negate the progress that much. Most people are not at the threshold where absolutely everything counts, like missing a meal. Our systems are probably not that sensitive. It’s a cheap supplement, especially for your immune system. Geoff recommends getting tested for vitamin D. Tell your doctor you want your “25 hydroxy” tested. At this point, there is lots of research about how deficient we all are. We don’t see a lot of sun all the time at this latitude, or during overcast weather, so our bodies don’t produce enough of it. You can get a lot of Vitamin D through diet. If you do cod liver oil you’re killing two birds with one stone. The RDA is only 600 IU, but that was increased from 400. However, personally he recommends (even not knowing what our current 25 hydroxy levels are) at least 1000 to 2000 IU. D3 is the natural form in the body. D2 is synthesized or derived from plants, but doesn’t translate into the same boost. Personally, I am already taking 2000IU of Vitamin D3 daily. It was recommended to me by my doctor a couple years ago. Absorption: he is an advocate of food first, but if you can’t get what you need from food, then you might need to rely on supplements. Vitamin D3 is REALLY well absorbed, especially if you take it with a small amount of fat. Fish oil – it would be great if we could get a shipment of wild alaskan salmon every day, but there is also less likelihood of you getting mercury from the fish oil because it is super distilled. Those heavy metals have an affinity for muscle tissue, flesh, and less of an affinity (less concentration) in oil. So you’ll get more toxins out of eating fish than you would taking the oil. Perfect world: we wouldn’t need supplements. But we don’t live in a perfect world. Creatine – most widely studied ergogenic aid to date. Comprised of 3 amino acids helping your body produce more ATP which means more explosive energy. Overall strength is increased. Your body naturally makes it, you get some of it through red meat (an awful lot of red meat). Women don’t respond as well as men, and 25% don’t respond at all because of their current levels. Sometimes it causes water retention, but there are chelated forms that won’t do that. He suggests creatine magnesium chelate is really awesome – Creatine Magna Power. You take less and get as good as an effect as creatine monohydrate. Argenine – precursor to nitric oxide. Nitric oxide got really popular with viagara because it dilates muscle fibers everywhere. And that helps blood flow out and in. Think of the burn when you rep out. It can help push that fatigue out a little further by getting more blood (oxygen) in. Something that can help directly with that burn is beta alanine. This is an amino acid derivative that can actually increase intra-muscular carnosine. Beta alanine tends to also increase surface blood flow, so you may get pins and needs sensation or even a flushed reaction. Something called GPLC is really new, a form of carnetine that has another effect on nitric oxide production, but also on fat burning. “Really cool stuff.” It’s a little more on the expensive side but is coming out in lots of products. If you have long days, your energy levels may be lower than desirable. Stimulants are extremely popular in the supplementation community. It puts you on your A game, something to consider. Lots of companies put together pre-workout formulas. GNC has quite a bit of them and he likes some of them. Red flag though: they contain a geranium stem extract, DMAA 1,3-dimethylamylamine. A couple teams were flagged at the CrossFit games because it was technically on the banned list. So if you have aspirations of competing, then it’s not for you. A few companies (eg; About Time) have stevia-flavored whey protein from clean sources. It’s good for pre-workout – natural energizers, nothing over the top. Definitely geared toward someone looking for a cleaner diet and a little boost. All these he mentioned are amino acids: creatine, argenine, glutemine. In points of starvation, your body goes looking for amino acids, and if you don’t have enough protein in your diet, it tears down your muscle in order to release amino acids into the bloodstream. You can supplement with glutemine. If you are bedridden or have the flu, using glutemine might help you avoid losing all those gains you made at the box. It’s an excellent recovery amino acid. …Dietary supplementation with HDP lowers postprandial GIP and increases postprandial REE and fat utilisation in healthy humans. An HDP-rich diet may therefore have beneficial implications in weight management. So, I’m not sure about waxy maize. That is all. On Sunday March 3, some of the CrossFit Mercer crew went to Scappa | A Brick Oven Trattoria. Chris Stevens, the owner and chef, prepared Fish Cakes and Paleo muffins for us. I have to say, both the fish cakes and the muffins were fantastic. The muffins had sugar on top for texture, so that part is technically not paleo. I scraped it off, but the recipe doesn’t include the sugar topping. Instead of honey, you can use agave syrup. Chris is also a member of CrossFit member, so he has an interest is what we are trying to do. You can use tuna or white fish, crab, shrimp or scallop (he used day boat flounder) grounded up. If you are going to get fish, get it from Whole Foods or Wegmans. You’ll pay more but definitely get a better product. When you puree fish, it will congeal well (it won’t fall apart). Be careful with Almond milk unless its unsweetened. Blue Diamond unsweetened is pretty good, and ShopRite sometimes has it on sale. (Thanks Delaney). The oil he used is half extra virgin olive oil and half coconut oil. The issue is coconut oil changes color when you bring it to a certain temperature. Also, the smoking point is higher, so it doesn’t burn anything. You can also bake the cakes in the oven, but Chris’ opinion is it tastes better with a little fat with it. 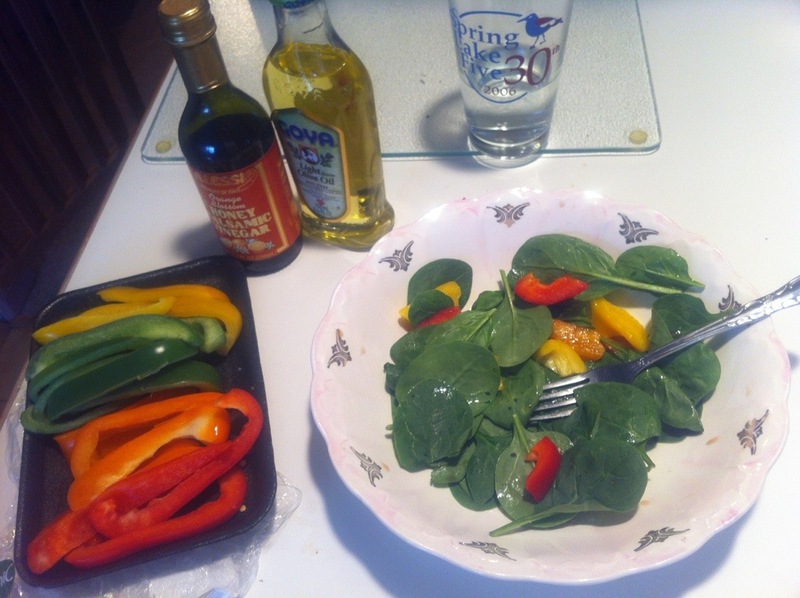 Salad prep trick: If you are making salad, don’t douse the greens with the dressing. Best thing is to put it on the side of the bowl, then toss it against the side of the bowl. It doesn’t drown the lettuce, and it spreads it out evenly. You can also make the fish cakes smaller as an h’orderve, or larger like a crab cake. Next week he will post another recipe, figs wrapped in bacon. In a large bown, mix together coconut oil and honey. Whisk in eggs until combined. Add in vanilla and mix. Stir the dry ingredients into the wet ingredients and mix until incorporated. Fold in chocolate chips and fill the muffin liners 2/3 full. Bake for 15 minutes, or until a toothpick inserted into the center comes out clean. I asked if sweet potatoes are paleo or not. Avoid regular yellow and white potatoes. Sweet potatoes in moderation are fine on Paleo, and I need them because of my endurance events. I found this article which defends sweet potatoes on Paleo. They have a lower glycemic index than regular potatoes. It was recommended I check out Brian MacKenzie’s blog, since I do endurance events. 3Fuel – try it for endurance events while on Paleo. Keeps you fueled on long, endurance runs. A few people recommended Aqua Hydrate performance water. Apparently this was created by Mark Wahlberg and Puff Daddy (working with John Cochran from Fiji water), haha. Take a look at Beach Plums from Jalma Farms, high in antioxidants. Check out the burpeessuck.com website for CrossFit-related t-shirts. Make Kale Chips on your own. It’s easy and much cheaper than buying them. Make them crispy enough, and add a spicy hot sauce. 350 for 10 to 20 minutes, flipping them around half way (thanks to Katy). If you do the 30 day whole food challenge: Don’t try to re-create junk food with paleo ingredients because you want to eliminate the desire for sugar. Olive oil helps lower cholesterol, and boosts the immune system with mono-unsaturated fat and vitamin E.
It helps fight against obesity, cancer, heart disease, and high blood pressure. Some sidekicks include canola oil, peanut oil, and sesame oil. But avoid other vegetable and hydrogenated oils, trans-fatty acids and margarine. Basically, olive oil helps control food cravings, will help burn fat and keep cholesterol levels in check. All-natural, sugar-free peanut butter helps boost testosterone, build muscle and burn fat. It contains protein, mono-unsaturated fat, vitamin E, niacin and magnesium. It fights against obesity, cardiovascular disease, muscle loss, and wrinkles. Some close relatives include cashew and almond butters. But avoid mass-produced sugary and trans-fatty peanut butters. Unfortunately, peanut butter has lots of calories and is not on the menu at most restaurants, but it contains mono-unsaturated fats that help increase the body’s production of testosterone. In one 18-month experiment, people who included peanut butter into their diet maintained weight loss better than those on low-fat plans. Also, a recent study from the University of Illinois showed that those who had mono-unsaturated fats (olive oil) before a meal ate 25 percent fewer calories than those who didn’t. Peanut butter is also great because it is a quick snack and tastes great. It doesn’t leave you feeling deprived. Spread it on apple slices or add to otherwise boring, bland-tasting smoothies. Just remember two things: you shouldn’t overeat it because it has a high fat content (limit to 3 tablespoons a day), and use all-natural peanut butter instead of the mass-produced brands that have added sugar. You are currently browsing the archives for the Healthy Foods category.